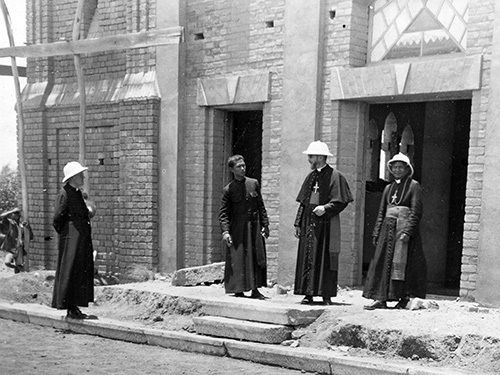 In keeping with the instructions of Pope St. Pius X, whose works he read, Bishop Lefebvre’s primary concern was his seminary, which he relocated close to Dakar, constructing its building at the oasis of Sebikotane. He sent several of the older students from Mortain to take theology degrees in Rome and thus equipped his seminary with a rejuvenated, competent Roman faculty. His next priority was the Carmel that he built very near the seminary; the Carmelite nuns from Cholet came to occupy it, while waiting for African vocations. By their prayers they drew down graces and prayed for the future priests, and thus they would be the “Church’s rampart” against the Islamic Crescent. While Bishop Lefebvre was wondering how to restart the dying mission in a pagan land, all of a sudden there was a much-awaited breakthrough in Serere territory. Immediately the bishop obtained reinforcements. In order to set up an immediate roadblock against Islam, which was streaming down from the north into the animist regions, he approved and supported the “inventive, ingenious zeal” of one of his priests: a plan to found for pagans who were still polygamous but favorable toward the Church, an association called “Fog Ola” (Friends of the Christians), with an identity card and a promise to be baptized before death. It was a success. These people, without yet being Christians, would all be affiliated with the Church. As for the young people, they would be catechized, baptized, married, and the Church would take root in Sine and Saloum. In the city it was necessary to build several new churches. 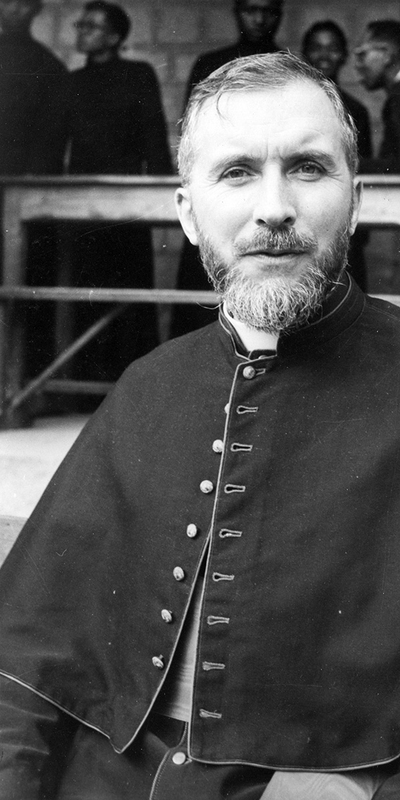 Upon his arrival, Marcel Lefebvre found two parishes and three church buildings in Dakar; he would leave nine parishes and 13 church buildings to his successor. Another construction site crowned with success was the boys secondary school built in the dunes of Hann, at the gates of the capital. At first it was designed to accommodate 700 students: its purpose was to prepare an elite group of young Catholic men for that Muslim country which was soon to gain independence. To be sure, with the Muslim religious leaders, the bishop conducted himself respectfully and cordially, but Islam was nonetheless a yoke, and the Church owes it to herself to bring true freedom, the freedom of the children of God. "He had the special gift of a gentle authority. He did not create the impression of one giving orders, and yet he indeed was in command. He did not rule with a heavy hand as an authoritian bishop, but as a bishop full of authority."